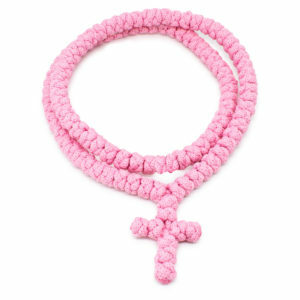 Ever since the immense popularity of the rosary all sorts of Religious Necklaces have become a standard item in our wardrobes. First to jump start this hype was Madonna, back in the 80s. 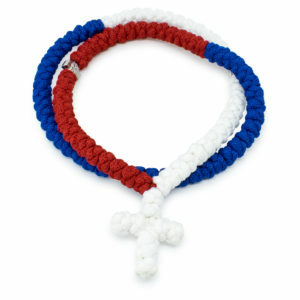 Since then she has been on thousands of magazine covers wearing rosary necklaces and several other cross necklaces. 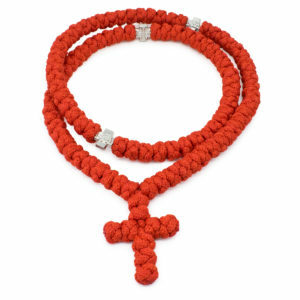 Nowadays next to (still) Madonna, Britney Spears, Lindsay Lohan, Pixie Lot, Justin Bieber, Zac Efron, Vanessa Hudgens, David Beckham, George Michael, Mark Wahlberg and countless other celebrities all wear rosary necklaces or some other cross necklace. 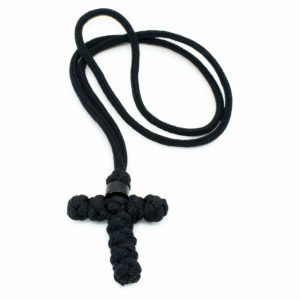 Also every teenager has some sort of Necklace linked to a religion as part of their clothing style. 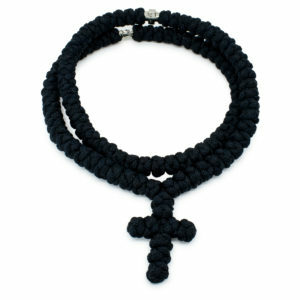 You will see Catholic, Christian, Orthodox, Buddhist, and Hindu necklaces all over. 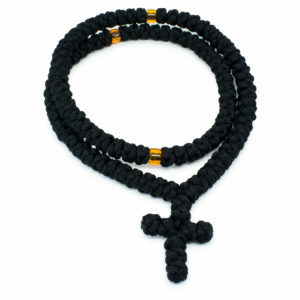 Just like the Religious Bracelets the Religious Necklaces will do no harm if they are treated as a clothing style. 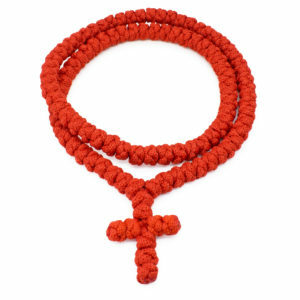 Almost every necklace belonging to a specific religion has or is worn as part of a clothing style. Look at it from a positive side, it does not matter who wears such a necklace or why, the nice part is that we ourselves are reminded of our religion every time we see someone wearing such a necklace. 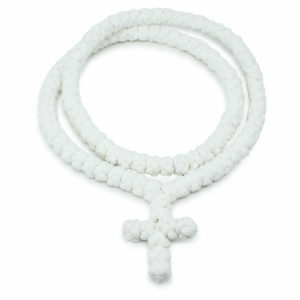 33Knots offers the Orthodox version of a Religious Necklace. 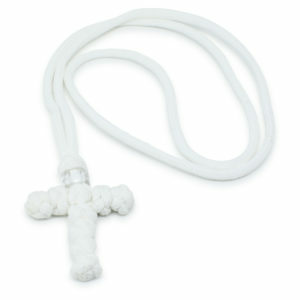 Unlike the rosary the Orthodox Prayer Necklace is made of knots in a rope instead of beads, nonetheless just as beautiful. 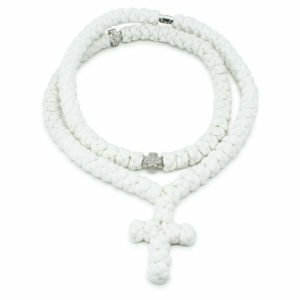 Recently 33Knots introduced a Orthodox Necklace that resembles a rosary but its also completely knotted and made in a way that stays true to the tradition of the orthodox prayer rope. 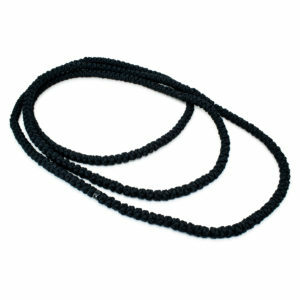 Like our other products our necklaces come in a wide range of colors and variations. 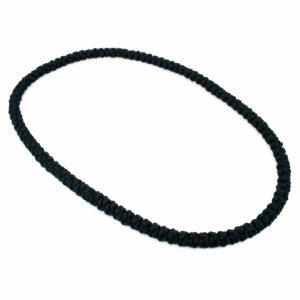 Feel free to browse through our store and find the Necklace that suits you best.